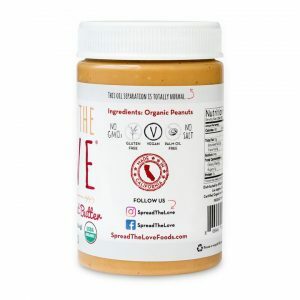 If you are looking for palm oil free peanut butter, you know it can be difficult. Companies use “No Stir” labels as a marketing strategy. They add palm oil so the peanut butter spreads easily. Many larger companies who label their peanut butter as “organic” and “all natural” use palm oil. The U.S. Food and Drug Administration stated that palm oil is not a healthy substitute for trans-fats, yet palm oil consumption continues to rise. We love when industry leaders keep their products free from palm oil. Here is a list of peanut butter without palm oil ingredients. Congratulations to Wild Friends Foods, the first nut butter company in the world to become Certified Palm Oil Free. ALL of their nut butter products are made without palm oil or palm oil derivatives. The International Palm Oil Free Certification guarantees the products have been thoroughly researched, right back to the sources. Learn more. For most of the above products, Wild Friends also offers single serve packs. Their Hazelnut Spread is one of their newest products. We love that Spread the Love advertises on their website: No palm fruit oil. They also advertise this on their labeling. It’s so important to tell consumers to look for this feature! It’s also Non-GMO and made in small batches. Their almond butter is made in a peanut-free facility! 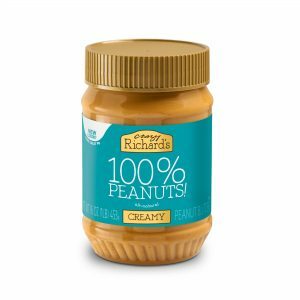 Crazy Richard’s Peanut Butter Co.
For over 100 years, Crazy Richard’s has been an additive-free peanut butter. Their peanut butter ingredients are simple and don’t include salt or sugar… just peanuts! Additionally, they recognize that hydrogenated palm oil isn’t a good thing. 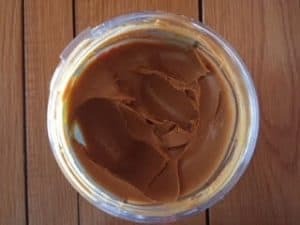 We’ve used Crazy Richard’s Peanut Butter in recipes, and it’s very easy to mix. Teddie’s products are free from sweeteners, oils as well as anything artificial. The peanuts are grown in the United States and are Non GMO. In addition, they use simple ingredients: Peanuts. Some contain salt. Others flaxseed. At most, there are three ingredients… that’s it! RXBAR has confirmed with us 100% of their products are made without palm oil or palm oil derivatives. While they are known for their bars, now they are making peanut butter without palm oil. 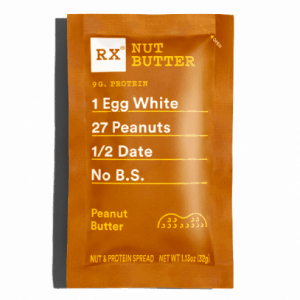 Their RX Nut Butter is available in 1.13 ounce pouches. 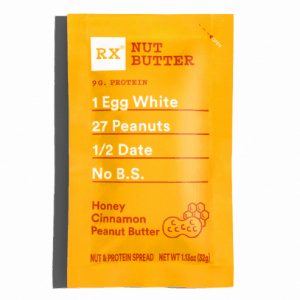 Ingredients are Peanuts, Egg Whites, Dates, Coconut Oil, Honey, Cinnamon, Sea Salt, Natural Flavors. The ingredients are Peanuts, Egg Whites, Dates, Coconut Oil, Sea Salt. Also, they offer Vanilla Almond Butter without palm oil. The ingredients are Almonds, Egg Whites, Dates, Coconut Oil, Sea Salt, Natural Vanilla Flavor, Vanilla Beans, Natural Flavor. The palm oil-free ingredients are Almonds, Egg Whites, Dates, Coconut Oil, Maple Sugar, Sea Salt, Natural Flavors. Ingredients: Organic Valencia Peanuts. The salted version contains Sea Salt. Contains: Organic Valencia Peanuts. Salted version contains Sea Salt. Watch out for their other lines with “no-stir” labeling which means they most likely contain palm oil. Ingredients are Dry Roasted Peanuts and Salt. Contains Dry Roasted Peanuts and Salt. Avoid the organic peanut butter from Whole Foods 365 as it typically contains palm oil. Ingredients are Peanuts and Salt. Be aware of their Creamy peanut butter with the “no stir” labeling and palm oil. While there are hydrogenated oils in these products which are controversial, our focus is on palm oil free peanut butter. It’s important for the Everyday Consumer to be able to find an easily accessible, industry-leading brand who doesn’t use palm oil in some of their products. Ingredients: Roasted Peanuts, Sugar, and Hydrogenated Vegetable Oil (Cottonseed, Soybean and Rapeseed Oil) to prevent separation, Salt. Ingredients: Roasted Peanuts, Peanut Oil, Honey, Sugar, Hydrogenated Vegetable Oil (Cottonseed, Soybean and Rapeseed Oil) to prevent separation, Molasses, Salt. Ingredients: Roasted Peanuts, Sugar, Hydrogenated Vegetable Oil (Cottonseed, Soybean and Rapeseed Oil) to prevent separation, Salt. Note: Skippy Reduced Fat Creamy and Reduced Fat Super Chunk do contain Mono- and Diglycerides. We avoid them because they CAN be manufactured using palm ingredients. Also note: All of Skippy’s Natural Peanut Butter Spreads contain palm oil. Thank you to these companies for making these lines of peanut butter without palm oil. We looked at lists of alternate names for palm oil derivatives — there are over 500 names. To the best of our knowledge, the ones listed above are palm oil free. We are in the process of contacting these peanut butter manufacturers to confirm their peanut butters are palm oil free. We will continue to update when we hear back from them. 1.) Avoid “no stir” labeling. Peanut butter companies who use palm oil may highlight “no stir” on their labels. They are trying to make it seem like it’s a good thing. This means there aren’t oils to keep it together; the fat from the peanuts naturally separate to the top. This is okay. You just have to mix it. We await the day when marketing for peanut butter and other products includes “no palm oil” labeling as industry-wide advertising. See all the work the International Palm Oil Free Certification Accreditation Programme is doing to highlight palm oil free products with their “No Palm Oil” Certification labeling. As stated above, Wild Friends earned this certification for making nut butters and peanut butter without palm oil. 2.) Watch out for Mono- and Diglycerides. These ingredients are typically made from palm oil. They are emulsifiers that manufacturers use to stabilize foods, such as peanut butter, mayonnaise, ice cream, baked goods, margarine, and others. In nut butters, companies use mono- and diglycerides to prevent the oils from separating. 3.) Read all ingredient labels. You might think because it’s advertised as “natural” or “organic” that it’s superior to labels without these claims. 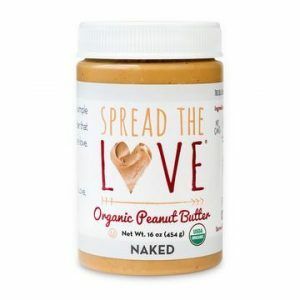 These natural and organic peanut and nut butters often contain palm oil. 4.) Look for peanut butter that needs to be refrigerated. When there are hydrogenated oils added to peanut butter, it increases shelf-life and doesn’t need to be refrigerated. 5.) The less ingredients, the better. When you have peanuts and salt, what more do you need? You won’t miss added sugar when you have your PB&J. Even better? Eat it with already-sweet fruit or mix in some honey. We are happy to be able to find peanut butter without palm oil and hope these companies keep these products free from palm. Remember, always check labels. Companies are adding palm oil to their products all the time. It’s a cheap and versatile oil. Many of our once-favorite products have started using palm oil; it’s even in beverages. Reach out to companies to let them know you want them to make their peanut butter and other products without palm oil. Many companies include palm oil in peanut butter. We believe in choosing products without palm oil and are happy to find palm free peanut butter. We think it’s the best peanut butter for our planet. Whether you experience allergic reactions from palm oil, believe you have a palm oil intolerance, or avoid it for environmental reasons, it’s a good choice to choose peanut butter without palm oil. 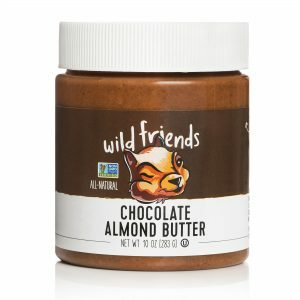 Remember to support these nut butters, protein spreads, and peanut butter brands without palm oil. Also, support Palm Oil Free labeling. If you know of any other brands of no palm oil peanut butter, please share in the Comments. Thank you! Note, we are not medical professionals. This is not medical advice. Please consult with your physician. The information is based on our own Internet research, reading labels in stores, and reaching out to companies. Use this as a reference point. This list is not guaranteed. Remember, it’s essential to read the ingredients before you buy anything. This is not true. Skippy does contain Palm oil – it is right there in their “natural” peanut butter ingredients. Maybe companies also like Peter Pan – put hydrogenated vegetable oil but after checking online, it is crystal clear that the same jar ingredients has palm oil which is not stated on the jar. 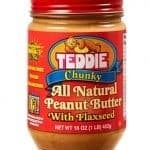 One of the largest non palm oil peanut butters is Teddy which is not listed. Thank you for being a proactive consumer. Yes, it’s true that unfortunately, some of Skippy’s peanut butter lines do contain palm oil. In this article, we are NOT supporting their “Natural” lines. We very much support companies who don’t use palm oil at all; however, we know for the majority of consumers, convenience, accessibility and price are factors. Therefore, we are glad at least that a few of Skippy’s brands are palm oil free. This is why we have included them in this post. Thank you for the info on Teddy. We will research and contact them and will hope to include them in this list. Thank you for supporting products without palm oil! What about Crazy Richards? That wasn’t mentioned and the only thing it contains is peanuts! What is your reason for not mentioning Crazy Richards? Thank you very much for taking the time to comment on this post. 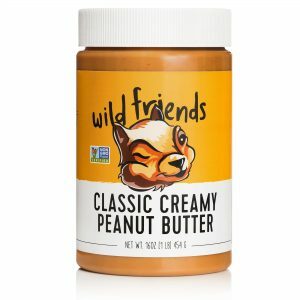 We had never heard of Crazy Richard’s and are happy to include their peanut butter without palm oil and other nut butters on this list. Thank you for letting us know about it. It seems this brand is available in some grocery store chains, not just health food stores, which makes it much more accessible. The more people learn about how companies use palm oil in products, the easier it is for them to choose alternative brands that don’t contain it. Palm Oil Uses ~ What is Palm Oil Used For?